Mario Luna is a 1998 Texas Scholar graduate of Harlingen South High School and has 15 years of experience in the field of fine arts education beginning his career at Carroll High School in Corpus Christi ISD in 2000. He was the Assistant Band Director at Nimitz High School in 2004 before being named the Assistant Band Director at Forney High School in 2006. Mr. Luna was the interim Fine Arts Director from March 2014 to July 2014 before becoming the full time Director of Fine Arts in July 2014. One of Luna’s major responsibilities with the Forney High School Band was the percussion program. Under his direction the Forney High School Band percussion program received numerous local, state and national recognitions. The FHS percussion program represented Forney ISD at the Texas State Capitol at the 2008 Texas Fine Arts Day and the school’s indoor drumline was named the 2009 North Texas Colorguard Association (NTCA) Indoor Drumline Champion. In 2010 the FHS percussion ensemble won the National Black Swamp Percussion Ensemble Competition. The Forney High School percussion program has performed at Dallas Cowboys events, Dallas Stars games and various cooperate events in the Dallas/Fort Worth area. The Forney High School marching band has competed at the UIL Texas State Marching Contest in 2009, 20011, and 2013. Luna received his Bachelor’s Degree in Music Education from Texas A&M University at Corpus Christi and earned his Master’s in Music Education from Texas A&M University in Commerce. He holds an All-Level Teaching Certificate in music and is has completed his coursework through Lamar University for his Administration Certificate. 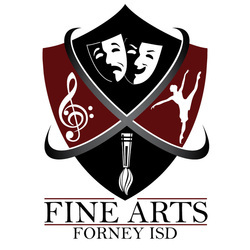 In addition to overseeing the Forney ISD Fine Arts Department, Luna is also an active adjudicator and clinician as well as a member of the Texas Music Administrators association, Texas Music Educators Association, Texas Bandmasters Association, Phi Mu Alpha Sinfornia and the Percussive Arts Society. He is an Education Artist for the Innovative Percussion Sticks and Mallets and was named a Forney ISD Star Teacher in 2011. Foney ISD was one of 388 "Best Communities for Music Education" selected nationwide through the NAMM foundation this past year for their music education excellence.